New York's Soul Coughing disbanded more than six years ago now but they proved to leave a permanent mark on my ear for music. My leanings have always been towards the talented and the unique. We certainly have that here. 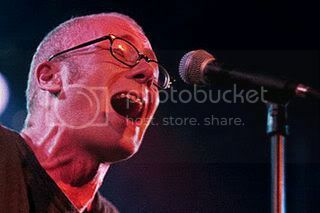 Led by Mike Doughty, who would later go on to have a satisfying (but somewhat commercially quiet) solo career, Soul Coughing challenged our concepts of what music was supposed to sound like. The band released gems between the years of 1992 and 2000. These were hard lean years for a band that sounded so different. And while the band was far too good to be ignored, they were clearly misunderstood. Warner Brothers' executives relegated the band to Slash (a WB subsidiary label) - and the band fought through it all to produce remarkable music for seven-and-a-half years before internal dissent would tear the group apart. Here is a live recording in Philadelphia more than a decade old. It could be yesterday and I think you'll find that it's definitely worth a spot in your music collection. "The Bus to Beezlebub" - a favorite of mine which does not appear in this live show... (Much to the lament of the crowd - we hear them beg Doughty, repeatedly, to play the song!) They never get to hear the track, but I have it here for you! The next bonus track is called "Unmarked Helicopters" - and it just happens to my very favorite Soul Coughing song. It was written specially for an X-Files episode in season 4 of that show. 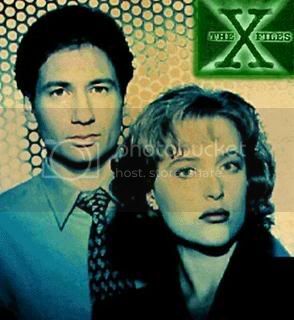 X-FILES: The truth was out there. Mulder and Scully found Soul Coughing in the search for answers.